ChaLEAN Extreme's proven Lean Phasing technique supercharges your metabolism by shifting your bodys fat burning focus from cardio exercise to resistance training. Order now and get Chalene’s Keep On Burnin’ bonus DVD (wth 3 workouts), a $29.99 retail value. 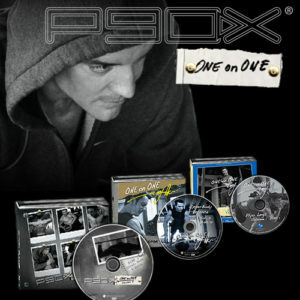 Beachbody has provided Intense Fitness with a limited supply of the Keep On Burnin’ bonus DVD. We are giving them away with each order of the Chalean Extreme workout. Chalenes proven Lean Phasing technique supercharges your metabolism by shifting your bodys fat burning focus from cardio exercise to resistance training. You burn fat long after your workout and even into your sleep. With ChaLEAN Extreme, you can burn up to 60% of your body fat in just 3 months. Ready to burn fat and boost your metabolism? Then get lean with ChaLEAN Extreme, the extreme workout system from Chalene Johnson. The more lean muscle you have, the more fat you burn. Chalene teaches the proper form and the proper technique for using the resistance moves you’ll be doing in the program, whether you’re using weights or bands. Start resistance training at your own pace to jump start your metabolism and break down those extra reserves of fat. In these moderate training workouts, you’ll work your upper body then lower body, using Lean Phasing. Chalene shows you how to push beyond your comfort zone safely, so you build the muscle you need to burn fat. Chalene helps you push yourself, so you get fast results. Here is where you really melt the fat, with new routines and dynamic moves. This phase is designed to deliver major changes to your body. During each phase, Chalene ignites your metabolism with intense cardio and strength training routines, then rejuvenates and lengthens your muscles with an invigorating flexibility workout. Shrink, tighten, and tone your abs with two targeted routines for a rock hard midsection. A great tool to add some extra resistance to your lower body training. Use this tool to measure your body fat at each stage to see how much you lose. Shows you what to eat during each phase to maximize fat burning. Get more out of your workouts by burning fat and toning muscle faster with these resistance aid. Intense Fitness is so sure you’ll love ChaLEAN Extreme, we’re giving you a 90 day money back guarantee. If you’re not 100% satisfied for any reason, just return it within 90 days for a full refund of the purchase price (less shipping).